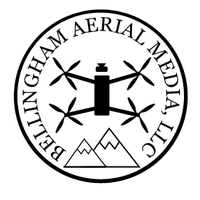 About Bellingham Aerial Medial, LLC. AND Droneview Solutions. No project is too big or too complicated. We have done jobs that are in-and-out and re-occurring projects where we work with our client to adjust the scope and the project progresses. If it's drone-related, we are interested. We have done presentations and training's to help spread the love of this awesome technology in our hometown of Bellingham, WA. We also use our past production experience to do all our editing in-house with a fast turn-around time that still produces professional results that keeps clients coming back.